Several Japanese museums have exhibits to honor members of special attack forces, who carried out suicide attacks against Allied forces near the end of World War II. These exhibits portray the pilots as brave young men who voluntarily sacrificed their lives to defend their country and families. Their letters and photos cause many museum visitors to weep as they reflect on the young men's lost lives and consider how they felt before their missions of death. Most museums with exhibits on special attack forces are located at sites of former navy or army bases. Almost all of these locations also have special attack force memorials constructed prior to the opening of the museum exhibits. Except for the Yasukuni Jinja Yūshūkan in Tokyo, the museums present a separate history of either the navy or the army special attack forces. Most museums also honor fallen soldiers who were not members of special attack forces. People associate Japan's suicide attacks in World War II with kamikaze plane pilots, but the special attack forces also included kaiten (manned torpedoes), midget submarines, explosive motorboats, fukuryū (suicide frogmen), and others. Only the Yasukuni Jinja Yūshūkan in Tokyo has exhibits to cover all the special attack forces. The Kaiten Memorial Museum on Ōtsushima Island covers the history of the kaiten, and the other museums have displays on kamikaze pilots. Etajima Museum of Naval History also honors special attack force members who perished in midget submarine and kaiten attacks. Private citizens, mostly war veterans and bereaved family members, took the lead in founding the majority of museums with exhibits related to special attack forces. Japan's Self-Defense Force still uses the former Imperial Navy bases in Etajima, Kanoya, and Tsuchiura , and it operates the history museums at these locations. As a result, these museums cover Japan's entire naval history, with only part of the exhibits related to special attack forces. As part of Japan's demilitarization during the American occupation after the war, existing military museums such as those at Yasukuni Jinja and Etajima were closed . Etajima Museum reopened in 1960  and included exhibits of letters and photos of members of naval special attack forces who died during the war. Several other museums with special attack force exhibits opened over the next 15 years: Yasukuni Jinja Yūshūkan (1961) , Kaiten Memorial Museum (1968), Yokaren Museum in Tsuchiura (1968), Kanoya Air Base Museum (1972), Tokushima Air Base Museum (1974), and Chiran Peace Museum for Kamikaze Pilots (1975). Photos and letters form the foundation of each museum's exhibits related to special attack forces. 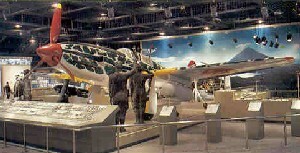 Museums display photos of individual pilots, groups such as kamikaze units and training classes, and places such as former air bases. 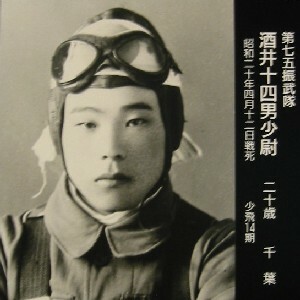 Except for Etajima Museum, the photos of individual pilots are exhibited in rows together with each pilot's basic biographical information, such as name, unit, date of death, age at death, and home prefecture. See the top of this page for a typical photo of an individual pilot. Letters written by the kamikaze pilots have the strongest emotional impact on museum visitors. All museums with exhibits of special attack forces display numerous letters, poems, diary entries, and other miscellaneous writings. Most were written on the eve of the final mission or soon before, but others were written sometime after a pilot had entered a kamikaze unit but not yet knowing his final sortie date. It is difficult to generalize on the contents of the hundreds of letters on display at museums around Japan, but many pilots convey thanks to their parents for everything they have done and express the honor of the opportunity to make an attack to defend their country. Some pilots may have been inhibited in writing down their true feelings since the letters would be subject to military censorship. Also, the letters would be the final remembrance the pilots' families would have of them, so they most likely wanted to write something to make their families proud and happy rather than burdening them with any feelings of doubt or fear. Several museums display restored planes or other weapons used in suicide attacks. Yasukuni Jinja Yūshūkan, Kanoya Air Base Museum, and Yamato Museum each display a restored Zero fighter, the plane type used for many kamikaze attacks. The Yūshūkan Museum also has a kaiten (manned torpedo), ohka (piloted rocket-assisted glider bomb), and a Suisei dive bomber (Judy). Most museums also have many models of planes and other weapons with the most impressive being Yamato Museum's 1/10-scale model of the battleship Yamato, which was sunk by American aircraft during a special attack mission toward Okinawa in April 1945. Museums with special attack exhibits display a wide variety of other artifacts, such as military uniforms, medals, hachimaki (headbands), model planes, paintings, and senninbari (thousand-stitch belts worn for good luck). Three museums with special attack force exhibits (Chiran, Kaseda, and Tachiarai) include in their names the term "peace museum," something many people do not associate with kamikaze attacks. For example, the brochure for the Chiran Peace Museum explains the museum's purpose is "to commemorate the pilots and expose the tragic loss of their lives so that we may understand the need for everlasting peace and ensure such incidents are never repeated." Although these three museums have a stated goal to promote peace, the types of historical artifacts displayed at the peace museums do not differ from the museums that do no not identify themselves as peace museums. In any Japanese museum that displays letters and photos of the young men who perished in suicide attacks, visitors can reflect on war's tragic consequences and most will leave the museum with the conviction that such a terrible war must never be allowed to happen again. Whereas most of the museums concentrate on the tragic aspects of war, the museums at Etajima, Yasukuni Jinja, and Kanoya have several displays to commemorate Japan's military successes in battles prior to World War II. Kanoya Air Base Museum also has many exhibits related to the history of the Japanese Maritime Self-Defense Force (JMSDF) after the war. A secondary purpose of these exhibits seems to be the encouragement of young people to choose a career with the JMSDF. The primary goal of exhibits on special attack forces is to memorialize the pilots who sacrificed their lives to defend their country, so the museums do not present controversial or negative aspects of Japan's history of suicide attacks. The only negative items found in any museum are two wooden bats used in the military by leaders and instructors to inflict physical punishment on subordinates. The small private Yokaren Museum in Ōita City displays these bats but does not provide details on their use during the war. The Yasukuni Jinja Yūshūkan actively tries to convince visitors of the nationalist perspective of Japan's war history for which Japan has no reason to apologize, whereas the other museums generally remain silent on responsibility for the war other than brief explanations, such as western nations cutting off imports of oil and other natural resources to Japan prior to December 1941. Japanese museums with special attack corps exhibits have very few displays in English and limited information on the Internet. The Chiran Peace Museum has a 22-page English booklet explaining the exhibits, and the Kaiten Memorial Museum has a high-quality 30-minute film in English on the history of manned torpedoes. However, both museums have no exhibits translated to English. Only the Yasukuni Jinja Yūshūkan has extensive English translations of exhibits, but even there many letters and other items related to the special attack forces remain without translations. The Yasukuni Jinja Yūshūkan, Yamato Museum, Chiran Peace Museum, and Kanoya Air Base Museum have created well-designed web sites to provide overviews of museum exhibits, but they have few details related to special attack forces. The Yokaren Museum in Ōita City has created a web site with Yokaren (Japanese Naval Flight Training Program) history, photos of museum exhibits, last letters of kamikaze pilots, comments from museum visitors, and essays on wartime experiences. The other museums have limited or no information on the Internet. The significance and influence of the 15 museums differ greatly. Whereas Yamato Museum, Chiran Peace Museum, and Yasukuni Jinja Yūshūkan receive several hundred thousand visitors each year  , most museums with exhibits on special attack forces have very few visitors. However, even small museums can have a very strong effect on a small segment of the population, such as relatives and friends of the soldiers memorialized at these museums. The following list ranks the museums based on their influence on people's perceptions of special attack forces. The following factors were used to develop the ranking: number of visitors, books about museum and its exhibits, mention in mass media, historical importance of museum's location, references in books, appearance in films, international influence, and museum web site. 1. Photo of Toshio Sakai displayed at the Bansei Tokkō Peace Museum. 2. The address of the Ordnance School of the Japanese Ground Self-Defense Force, where the Yokaren Museum is located, is in Ami Town, which is next to Tsuchiura City. 4. 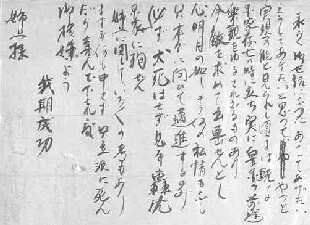 Letter written by Fumio Kobayashi displayed at the Kaiten Memorial Museum. 5. Murakami (2000, Figure 1) indicates that Chiran Peace Museum attendance from 1990 to 1997 was over 500 thousand annually. 6. Murphy (2002) indicates Yūshūkan attendance is one thousand per day. Murakami, Toshifumi. 2000. The Role of Peace Museums in the Construction of a Culture of Peace. Paper from 18th General IPRA (International Peace Research Association Conference) held August 2000 in Tampere, Finland. <http://kyoiku.kyokyo-u.ac.jp/gakka/murakami/peacemuseum.htm> (July 15, 2004), link no longer available.